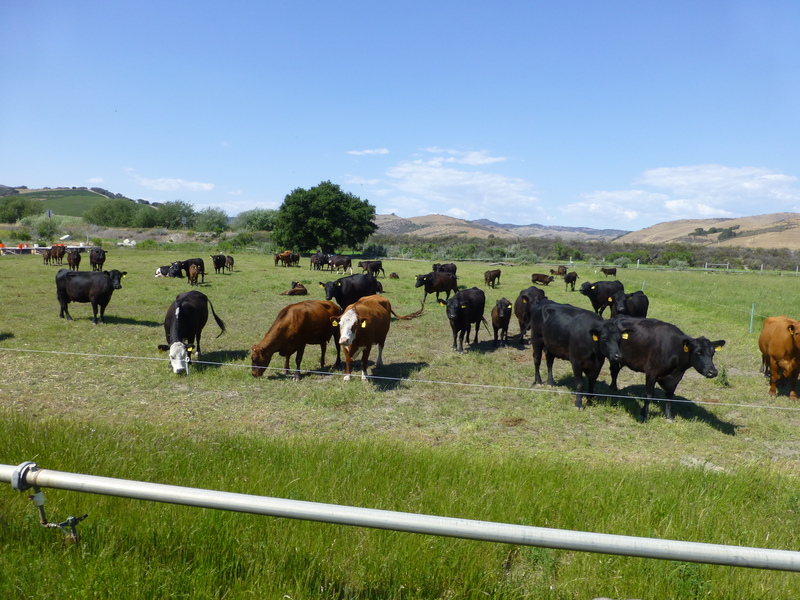 On May 11, Dey Dey’s Best Beef Ever held its annual Open House on its farm in Santa Rita Hills. Proceeds from the event went to benefit the Farm-to-Consumer Legal Defense Fund and the recently established Santa Ynez Valley Weston A. Price Chapter. The open house consisted of its usual classes on eating nutrient dense and this year also included some cooking demonstrations. They also served great food, including of course, Dey Dey’s beef. And along with the speakers and food, they ran their farm tours all day long. The farm tour was led by Dey Dey’s founder and owner John de Bruin. 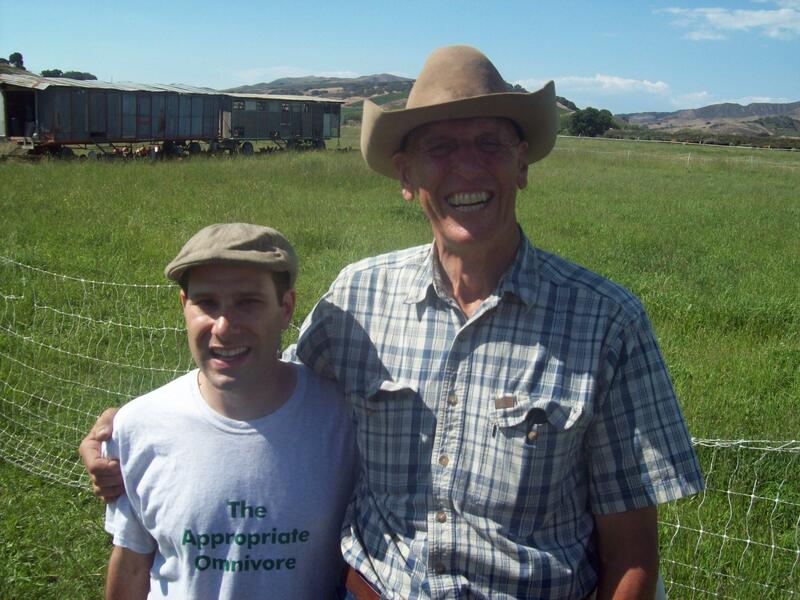 I had the great pleasure to meet him and hear all about his story from being an engineer to going vegan to eventually learning the health and environmental benefits of grass fed beef. 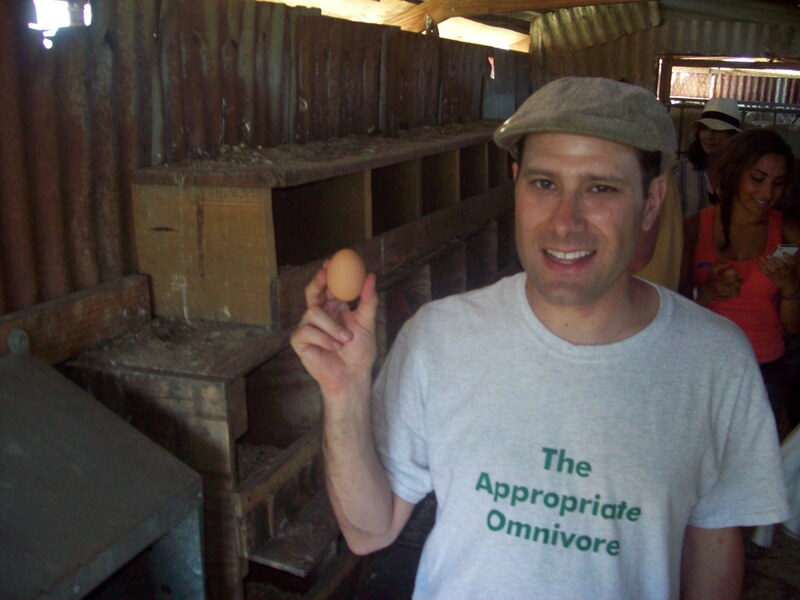 This resulted in John starting up a beyond organic farm feeding animals the right plants, so we can eat the right meat in return. Farm tours are important, because it’s always best to know where exactly your food comes from. You get to see for yourself just how sustainable things really are. Pictured above are Dey Dey’s cows grazing on grass in the open fields. The animals all moved throughout the areas of the farm at different times in a system known as crop rotation. Dey Dey’s is known for it’s Best Ever Chicken as well as its beef. They also sell some rich tasting soy-free eggs. 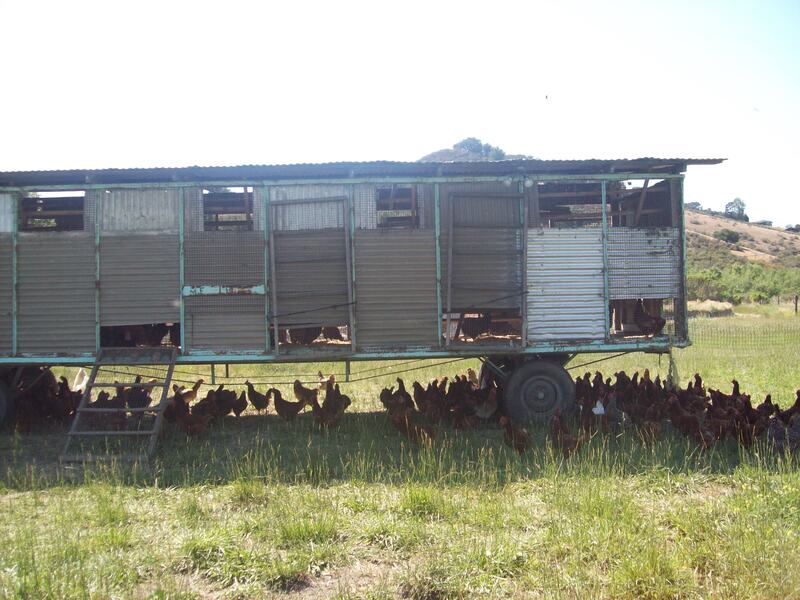 They collect their eggs by using the concept of the egg mobile. 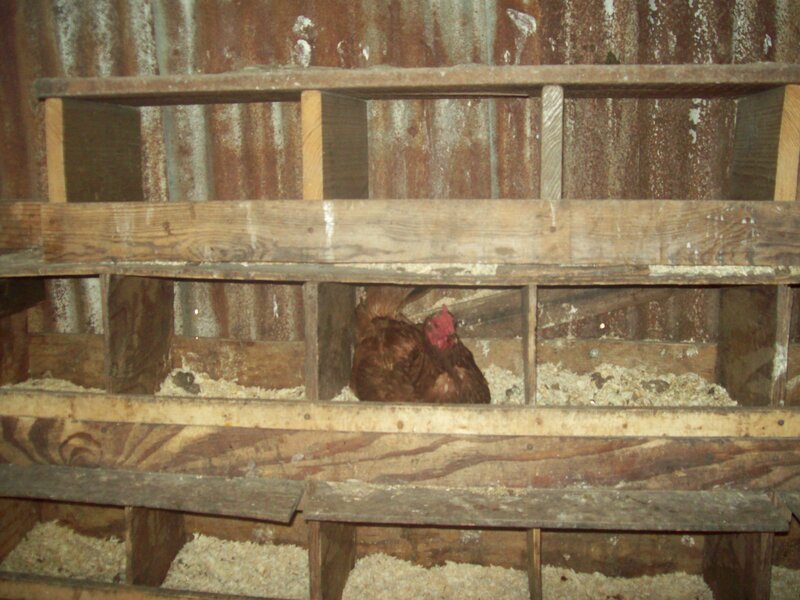 At night, the chickens rest inside the egg mobile, where they lay their eggs. 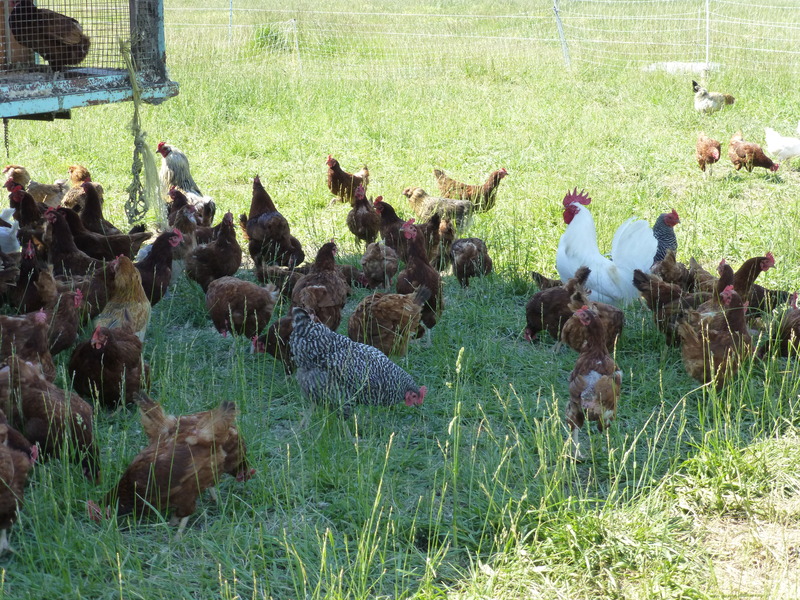 And then during the day the chicken get to graze in field, eating eating their share of grass and bugs. The tour wasn’t without some work involved. Everyone on the tour had to go inside the egg mobile and collect an egg. The newest edition to Dey Dey’s ranch are its pigs. People will soon be able to buy pork and bell cure their own bacon or the “gateway meat” as its known to vegetarians. 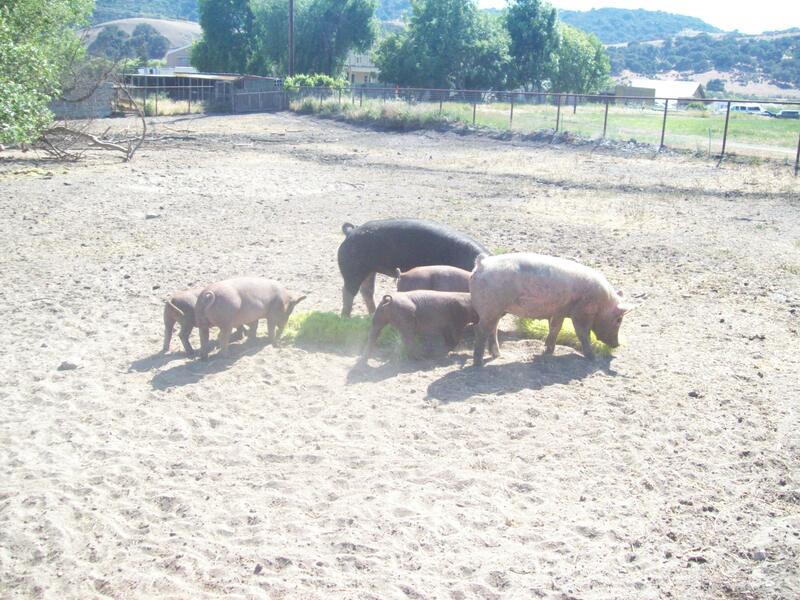 Pictured above the pigs are enjoyed some grass that was freshly tossed over to them as I was on the tour. Anyone in grass based farming will tell you it’s important to first to have the best grass before you raise the animals properly on it. After all, grass is the first word in “grass fed beef”. 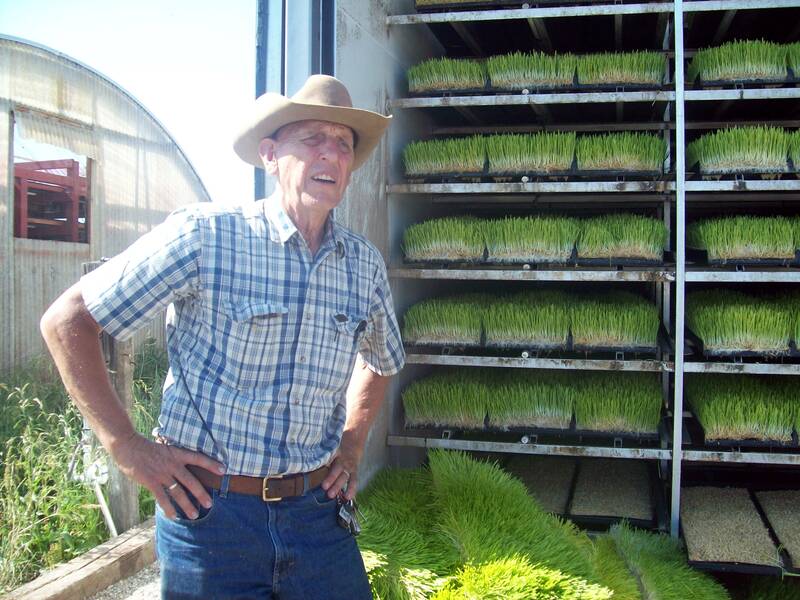 Here John de Bruin is showing the grass being grown. 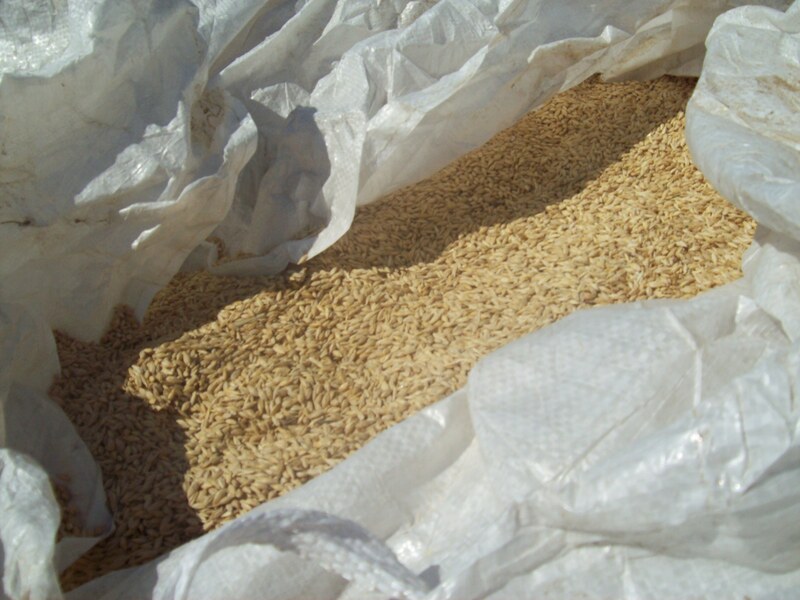 And here’s a closer look at the seeds, which grow into the grass, which the farm animals eat, which we then get the nutrients from in our beef, poultry, and pork. Special thanks to Chris Costanzo and Mona Lenihan-Constanzo for taking some of the photos.